On this episode, the gang starts to read the first Marvel comic written by Shadow The Hedgehog but we get so deep into it that we had to split this episode into 2 parts. 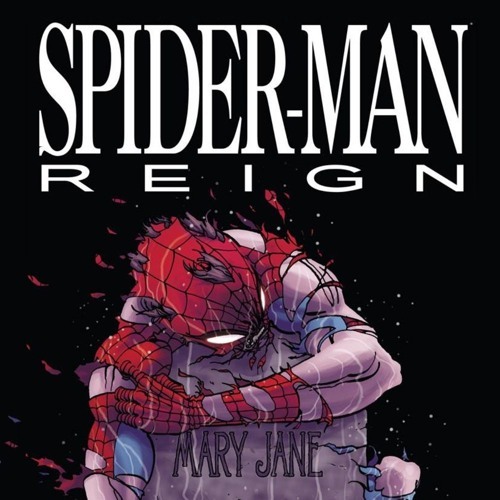 Get read for Spider-Man: Reign! In this episode, we read a cover version of Frank Miller’s Dark Knight Returns, but this time with Spider-Man. Lots of comparisons to Cry For Justice since Ryan recommended this book years ago and no one can understand why. Phil is convinced that if you’re not the Joker, you’re totally sane. Darryl gets touchy around pee pees. Sly’s truly encyclopedic knowledge of Spidey is put to the test, and he nails it. And for those tons of college kids out there playing the Divisive Issues drinking game, Ryan just wants to point out one more thing. Sneak preview for next week: Sly is convinced that one of us is a fascist. Tune in next week for the conclusion. Same spider time. Same spider channel.